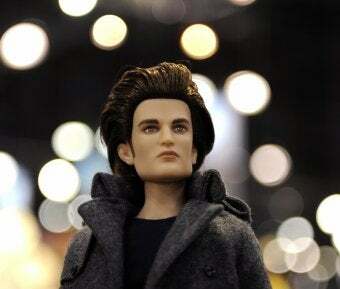 What's Even Creepier Than Edward Cullen? Answer: A man known only as the "Georgetown Cuddler" has struck twice near the D.C. university's campus in the last three days, breaking into the homes of two sleeping female students and getting into bed with them. The man, described as white, 25 to 30 years old, between 5'8" and 6'0", with a medium build, is thought to be targeting female students. In the spring, several similar incidents were reported to police, and now that school's back in session, he's at it again. So far, no one's been injured by the cuddler, who apparently leaves when his victims wake up and start screaming, but over a dozen women have been scared out of their minds, and others on campus are understandably nervous. Back in March, Georgetown student Maria Hayden told NBC Washington, "the idea of someone coming and just laying with you in the middle of the night is terrifying." (Do you hear that, Stephenie Meyer?) Police are reminding students to lock their doors and windows, which they also reminded them to do when it was happening in June and in March. Here's hoping they find the creep before he does anything worse, if not before he does it again.